Ryanair heads for Turkish delight and Austrian apfelstrudel! The low-cost giant from Ireland has plans for markets it has so far left untapped. 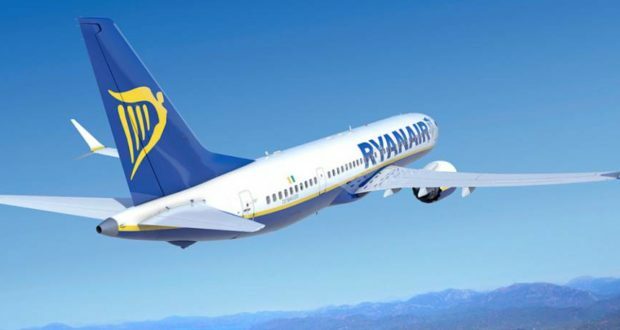 The Irish LCC giant Ryanair is spreading its wings over Turkey and Austria as a part of its never-ending growth strategy. Turkey has been a blind spot for Ryanair, which is kind of strange as the travel flow between countries in Europe and Turkey has been strong for many years. The dominance of Turkish Airlines and bilateral air service agreement limitations have been holding off the Irish from Turkish soil until 2018. In June, the first Ryanair flights will head from Dublin and Bratislava to Dalaman in Turkey, a small operation to start with, only once a week, though knowing the Irish it won’t stop there. It’s not only international flights to Turkey that are attractive, so is the domestic market, but the two main local carriers Turkish Airlines and the LCC-hybrid Pegasus control the markets. On international flights Turkish dominates, while on the domestic sector Pegasus holds a 30% market share. In 2017, a total of 193 million passenger travelled to, from and within Turkey. Ryanair transported 129 million passengers in 2017. Turkish is the world’s largest airline in terms of destinations (227 in 118 countries) and Pegasus is a privately owned airline that often flies under the radar. These two control the major part of air traffic to, from and within Turkey. Germany is by far the largest market for travel to and from Turkey and that is a good match for Ryanair, which will pick up the glove in the battle against Eurowings, easyJet and Wizz Air over the market dominance in Germany. A ramp-up of Ryanair routes from cities in Germany to destinations in Turkey is likely to happen in 2019. One secret is that Ryanair has quietly been setting up a charter airline in Poland, Ryanair Sun. As the geopolitical situation in Turkey normalizes, the leisure market will pick-up again, fast. This will be a good opportunity for Ryanair Sun to deal with tour operators in Poland and Germany on flying their passengers to various destinations in Turkey. Be sure that the price Ryanair Sun can offer tour operators to wet lease/charter their aircraft will be market leading, just in line with its owner in Dublin. No doubt about it, Ryanair will grow its Turkish operation fast, and in line with what we have seen in Spain with Air Europe, cooperation with a local airline may be on the cards and get easy access to the lucrative domestic market. The Boeing 737 MAX will enter service at Ryanair in 2019, a long-range aircraft that can reach 5700 kilometers, towards Indian subcontinent and the Middle East from bases in Turkey or Greece. Maybe we can expect an east-west hub by Ryanair in the southeast corner of Europe. It was a bad day for Lufthansa and it was a bad day for IAG when Michael O’Leary sent off his press release on Tuesday, March 20 that Ryanair would take a 24.9% stake in the Vienna-based and former Formula One driver Niki Lauda controlled airline LaudaMotion, growing to 75%, EU approval provided. LaudaMotion was formed on the remains of the Air Berlin and NIKI bankruptcy in 2017. Lufthansa, which took the lion’s share of these remains, had their eyes on NIKI/LaudaMotion but due to legislative reasons the case was transferred from Germany to Austria. That fueled a takeover bid by IAG and its low-cost arm Veuling, and they came close but lost out. On the hill of the triumph stood O’Leary. He doesn’t enjoy losing out, after becoming a major racehorse owner in Ireland on the sidelines of running Ryanair, and his horses have won it all. The Irish businessman had got on well with Lauda and swept away IAG, Vueling and Lufthansa and got his hands on a readymade base and small cap airline in the heart of enemy territory, Vienna. Eurowings needs to regroup, easyJet needs to regroup, Wizz Air needs to regroup and the same with Veuling, as LaudaMotion will be instrumental for Ryanair to sting its competitors in Central Europe. Ryanair has for years struggled to get into a good position in Germany, but any attempts to put up a fight with Lufthansa have failed and still the Irish only have a 6% market share. With LaudaMotion, the rules of engagement have changed in favour of the Irish, with the previous army man and tank commander David O’Brien (Ryanair CCO) planning the counterattack on the German market. Lauda and his airline NIKI have good brand recognition in Germany, which Ryanair has lacked, and now it will be instrumental to use LaudaMotion to “brand Ryanair” in Germany. Both Lauda and O’Leary have a couple of things in common; they hate monopoly, market dominance and high airfares. No doubt about why a deal was struck when O’Leary got on his LearJet in Dublin to pay Lauda a visit in Vienna, late in February. It is interesting to see the similarities with the LaudaMotion deal and what Qatar Airways CEO Akbar Al-Baker did with Meridiana (now renamed Air Italy) in Italy. Qatar acquired 49% of the small cap airline and will fuel it up with leased aircraft from its own fleet or new ones Qatar has ordered from Boeing and Airbus. Controlled growth with very limited downside – just awaiting the failure of Alitalia. In Vienna, it is likely Ryanair will copycat the Qatar Airways business case in Italy. It will be an understatement to say the airline business has not learned on the failure by Etihad on its investments in large cap airlines Air Berlin and Alitalia, resulting in billion-euro losses. Go Ryanair go, and the same to Qatar Airways in Italy. That’s the new and smart way to start up an airline.